This New York Times bestselling book is packed with thoughtful advice and inspiring photos to help you create a home filled with beauty and meaning. 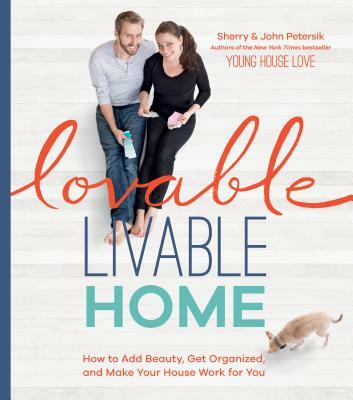 In the three years since Sherry and John Petersik wrote their bestselling book Young House Love, they have bought a new house and had a new baby, and they have seen their design perspective evolve right along with their family. In their latest book, they’ve set out to prove that just because you have kids or pets doesn’t mean you’re sentenced to floors overrun with toys or furniture covered in plastic. Through never-before-seen makeovers in the Petersiks’ own house, doable DIY projects, and a gallery of other inspiring spaces, Lovable Livable Home shows how beautiful homes can be functional too.